"Gray" has so much depth lyrically, it touches on recent social issues and calls the church to more action. 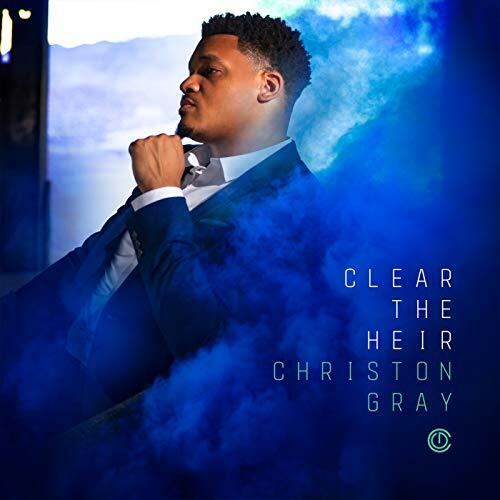 It is an Ohio all-star show featuring Gray's brother Taelor and Tragic Hero. It isn't a song that can be listened to once. It is a song to sit with. The chorus is an exhortation to the listener, "There's a Heaven and we all wanna go/Does anybody wanna fall on the sword/Take my hand, I just want you to know/Healing begins when you call on the Lord." 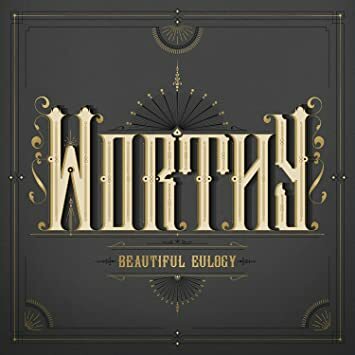 Beautiful Eulogy‘s lyricists are at the top of their game in Worthy. Odd Thomas is a rapping philosopher and theologian. In the span of seven or eight rapid-fire bars, he packs in doctrine. A few lines of “Messiah,” for example, cover a theology of pleasure, Edenic sadness, divine gifts, Christic centrality, idolatry, and a theology of emotion. Both Odd Thomas and Braille lean on the prolix side, with lines dense with words. But they are experienced rappers, each exhibiting strong breath control and facility for staccato expression. Odd Thomas’s inner-line rhymes lend an irresistible crescendo to his forceful material. Braille came up in a different day in Christian hip hop—the days when lighthearted, youth-group-focused artists proliferated; when Cross Movement blazed the “doctrinal rap” trail to the tune of ferocious East Coast beats (on par in some songs with Wu-Tang Clan and other leading groups, despite serious budgetary differences); when West Coast Christian rappers in some cases battled one another and in others delivered creative and impressive records; and when Southern rappers carved out their hook-driven, boldly-believing material (this book is helpful here). Rap, and Christian rap, has gone in different directions since the early 2000s. Beautiful Eulogy has essentially charted new territory in the Pacific Northwest. Hailing from this region, Macklemore stormed the rap game a few years back, eschewing a splashy label deal for independent distribution, progressive lyrics, and an organic—at times almost tribal—sound. I would not link Beautiful Eulogy directly to the Grammy-winner, but it is clear a new subgenre has emerged in both secular and Christian rap circles in recent years. IN. SECURE-FAVORITE BAR:” SO I PUSH YOU AWAY, CANT HAVE YOU TOO CLOSE/ BUT THEN I WANT YOU BACK YO I BE DOING THE MOST” I love how Taelor has this confrontational conversation with his insecurities. Swoope does a great job with the production and actually makes the track sound as though this track is actually happening within Gray’s head. I love the struggle of the break up with Taelor and his insecurities. The uniqueness of this track makes it a REPEAT OFFENDER! SCAPEGOATS-FAVORITE BAR:” MY CHURCH IS MOSTLY WHITE, BUT TRUST ME I GOT SOME BROTHERS” As Taelor starts off reminding us that he isn’t the “king of the elephant graveyard“, he addresses the surviving elephants that remain in the room on this album favorite track! He addresses the hypocrisies within the music industry (rap’s blacklist) and it’s marketing mishaps, fickle fans, resurrecting relationships, racism, religion and apathy. Ending with asking for God’s help before we tear the world apart, I see this as my favorite track on the album and a REPEAT OFFENDER! Mars Ill is a group that captures hip hop in its purest form: honest lyrics, dope beats with guitar, horn and eerie samples together with two turntables. 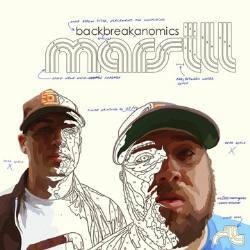 After establishing themselves independently, and amassing a dedicated fan base, Backbreakanomics is the national release for the duo, and another hip hop gem in the arsenal of Gotee Records. It’s sure to make waves not only in the underground and college scene, but in mainstream. Dust provides the beats and Manchild, the lyrics, as they explain what they are about on the horn-filled, “Breathe Slow”. That definition is “Aristotle mixed with Krush Groove”.